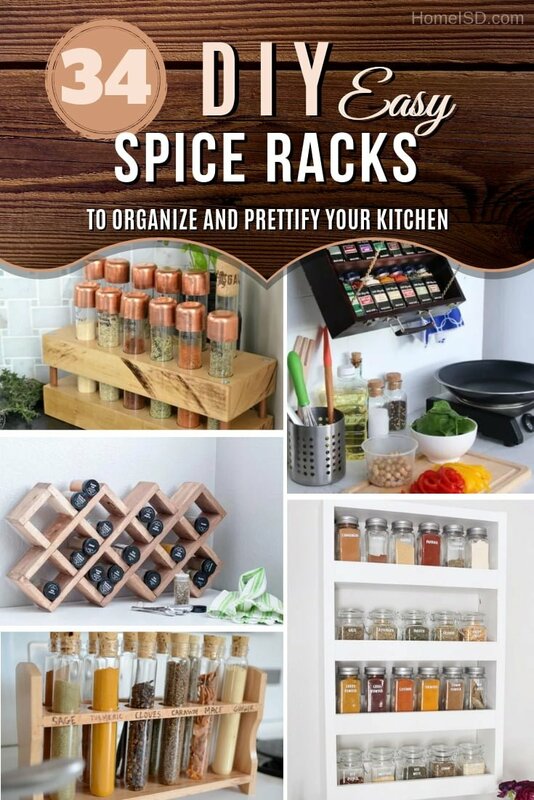 If you want to make the most significant impact on your kitchen decor and organization with minimal effort, build one of these easy DIY spice racks. 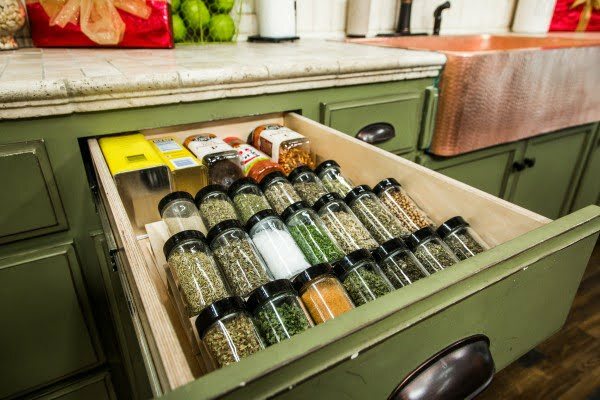 If you cook, you know the importance of spices and their organization in your kitchen very well. If you want to minimize frustration in the kitchen, you have to keep them organized. A well made functional and accessible spice rack is a must-have. 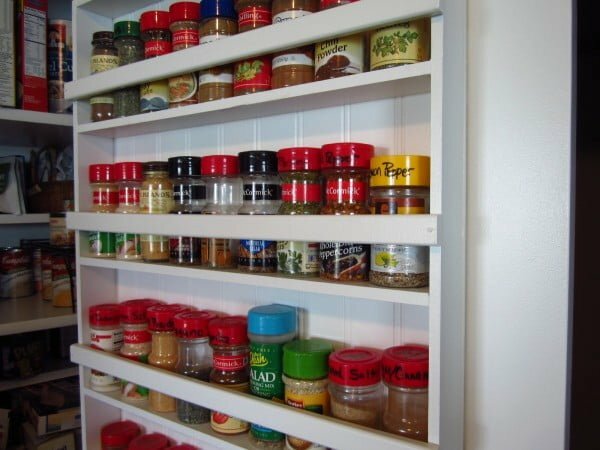 So why not make a DIY spice rack and save money while doing it? Here are 34 great ideas with tutorials you can use. 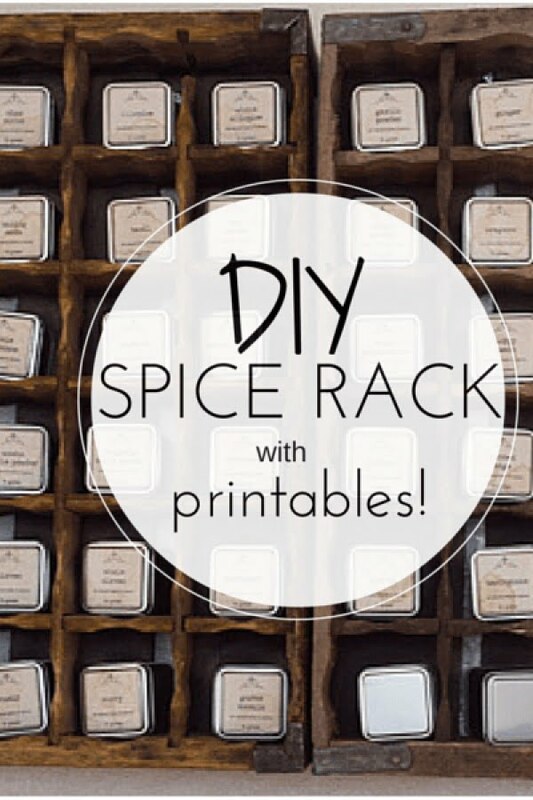 Make a DIY spice rack with this easy tutorial. 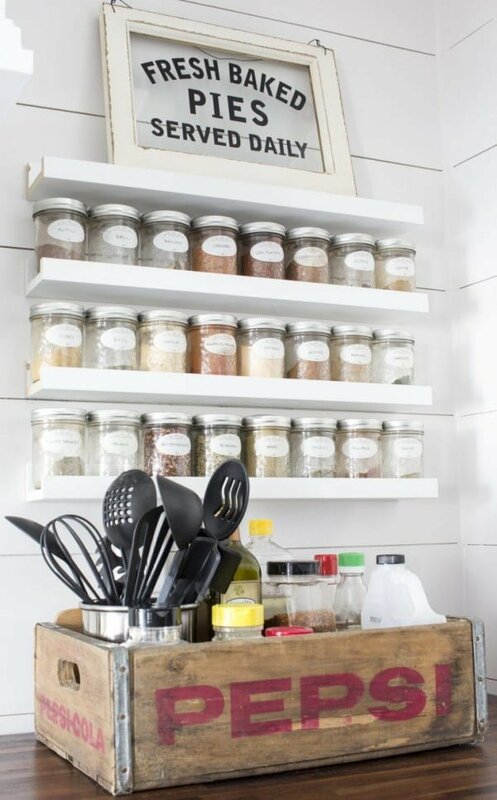 This wooden spice rack is made from scrap wood and can be set on the countertop or mounted on the wall. Follow the article to find out how it’s done. 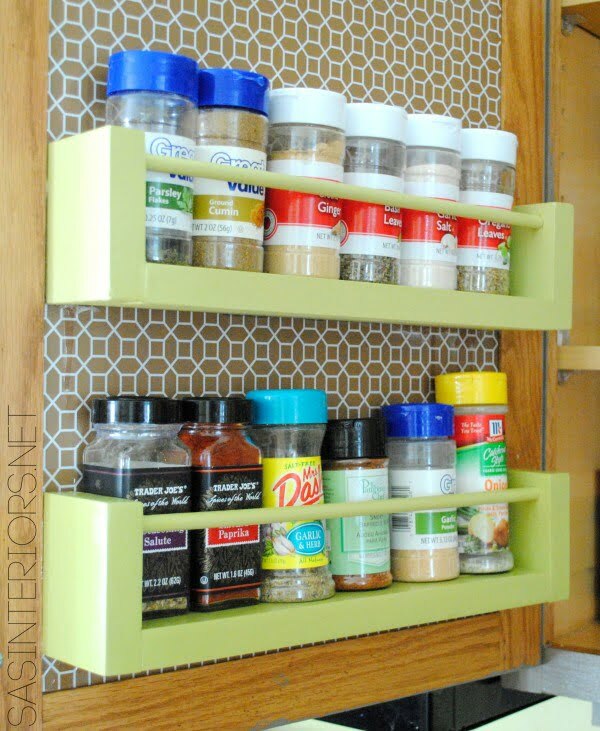 This is a beautiful DIY spice rack for small spaces you can replicate the easy way. Follow the link to learn how it’s done. 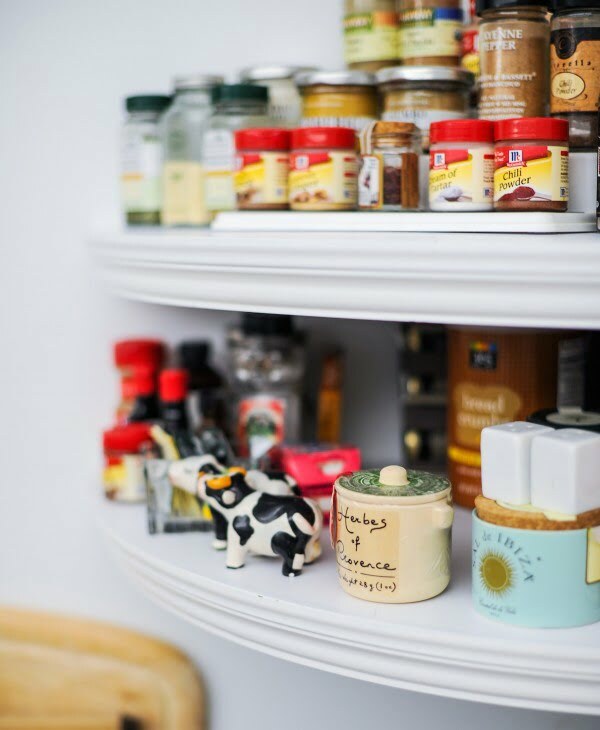 Organize your spices and make them visual in your pantry with a simple tiered spice rack. 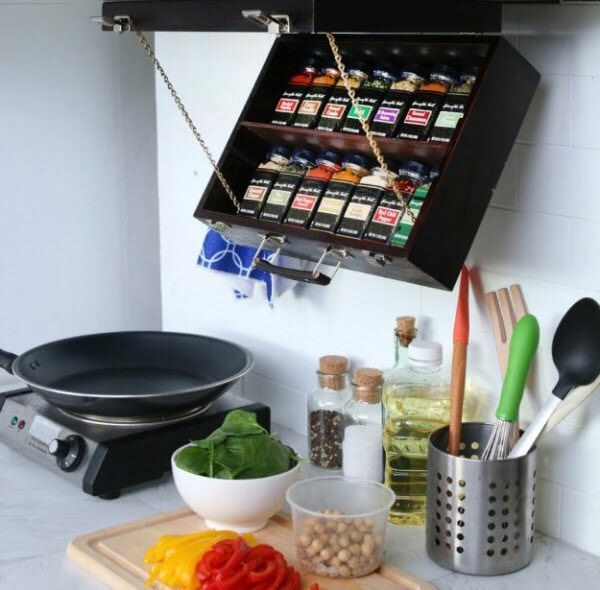 This spice rack is made from a simple $3 2×4 wood board. To create it see the link. “Home Made Simple” carpenter James Worsham, and designer Erica Domesek demonstrates how to create a tiered spice rack to keep any kitchen organized. See the article for the complete details. For those of us with kitchens that are lovable but on the smaller end of the spectrum, we recognize the high value of cupboard space and the importance of a spice shelf. See the tutorial for the full details. How to build a great DIY spice rack on a budget. To create it at home read the article and follow the tutorial. 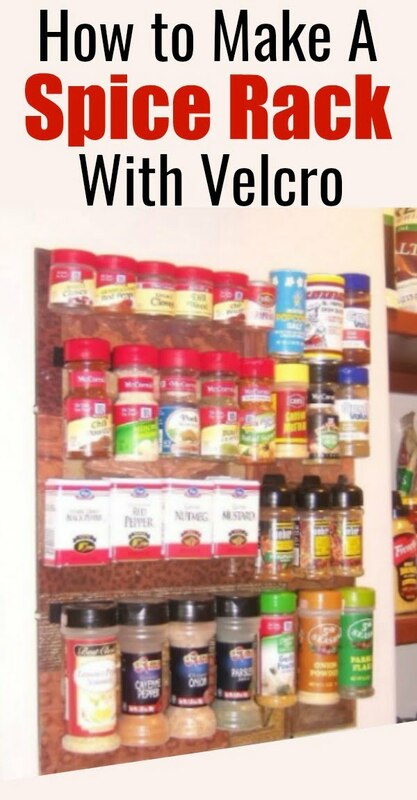 Build a super easy DIY Pallet Spice Rack. 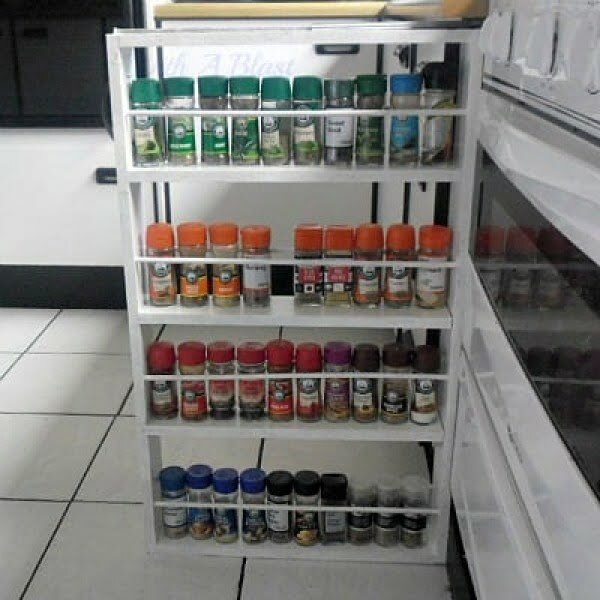 This spice rack is simple, fast, and helps you add more space and function to your kitchen. To make it at home see the tutorial. 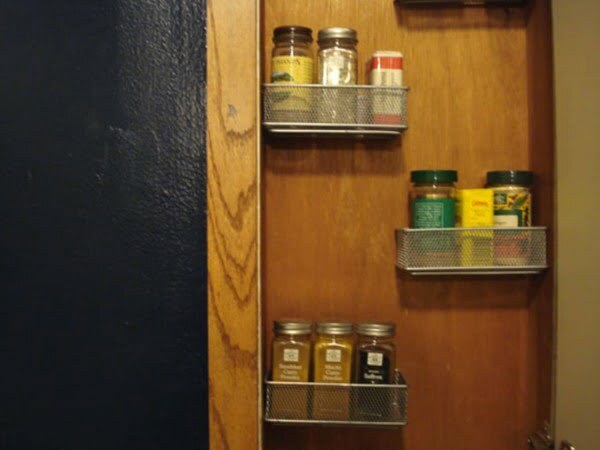 How to build a DIY spice rack that can be mounted on a wall. This wood spice rack will help to organize all your spices, look pretty, and save drawer and closet space since it hangs on the wall. To replicate it see the link. Are you ready to spice up your life and your countertops? Spice racks are one of those functional but sometimes not-so-cute kitchen counter dwellers. 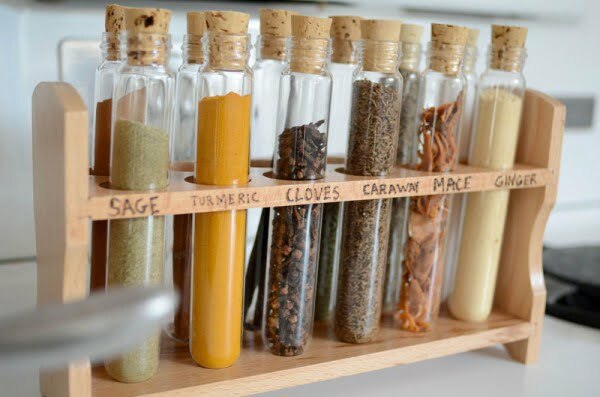 This DIY Test Tube Spice Rack is lovely and practical. Follow the link to see the entire details. 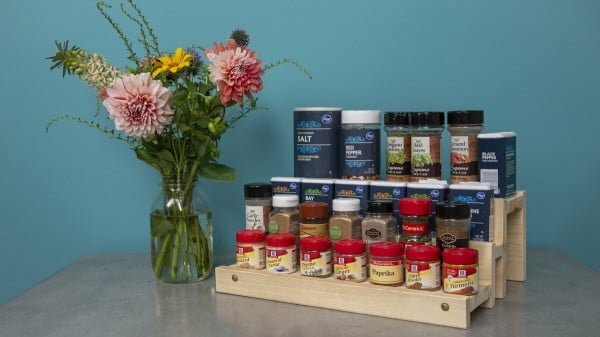 Create a unique DIY spice rack without spending any money. Use a recycled box, fabric from your stash and Mod Podge. To replicate it at home see the tutorial. Make this great decorative DIY spice jar rack for a simple project. To create it at home see the tutorial. 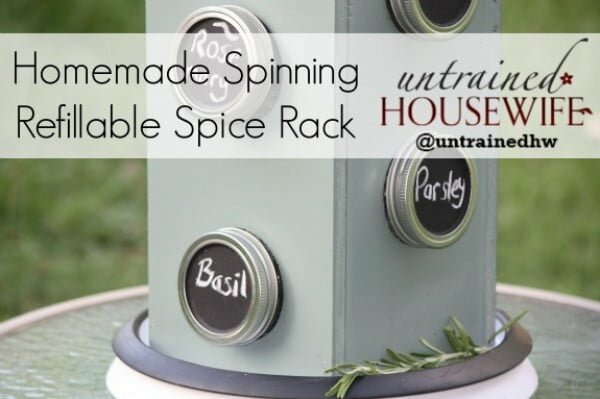 What an incredible DIY spice rack you can recreate the easy way. To replicate it follow the link. 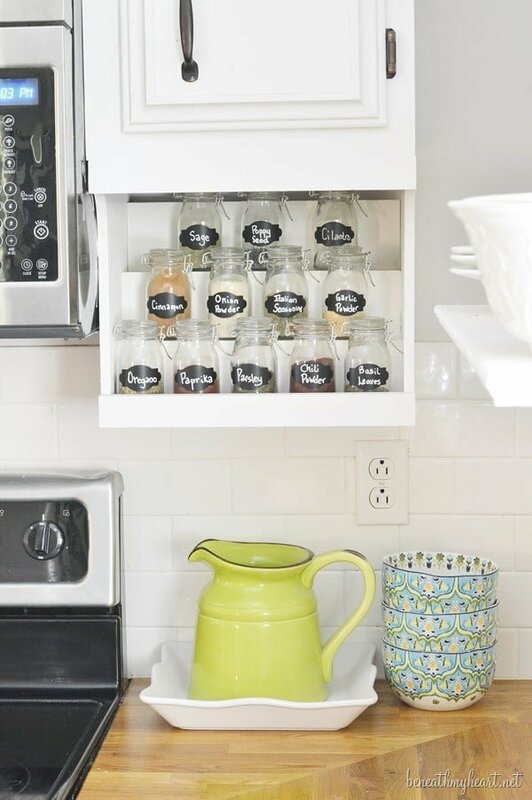 Make this fantastic DIY mason jar spinning spice rack the easy way. To make it at home see the link. 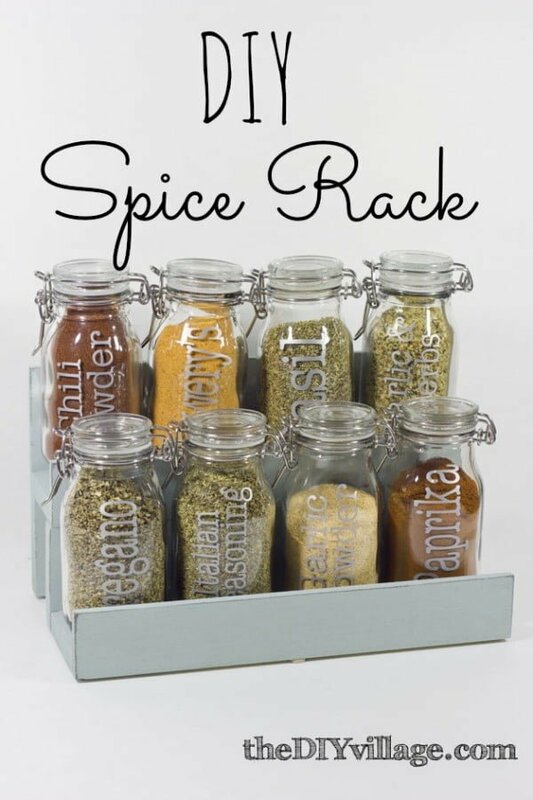 Create a Spice Rack which is easy to put together and keeps your spice of life on display. 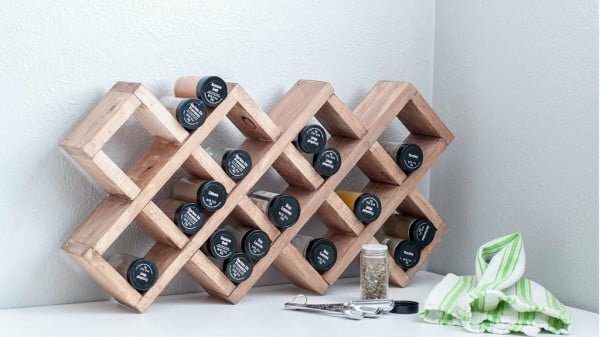 This simple DIY Spice Rack will impress your guests. To create it check out this website. This is a fantastic solution and great use of un-utilized space in your pantry door. To build it at home check out the link. This How-To Tutorial will show you how to DIY a Spice Drawer Organizer. It’s so easy. Check out the website to see how to do it. Looking to add a little spice to your life? 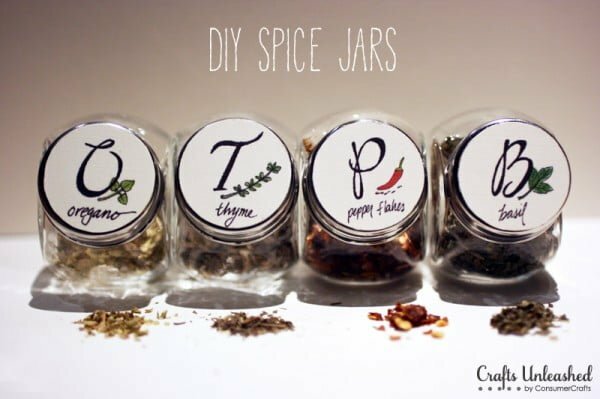 How about adding one of these incredible Spice Rack DIY Projects to your list of things to do. See the tutorial to see how to do it. 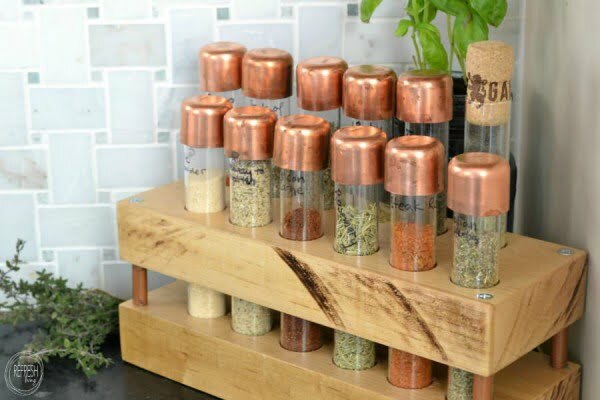 Create your DIY spice rack using test tubes, copper pipe and caps, and butcher block. Follow the article to see how it’s done. 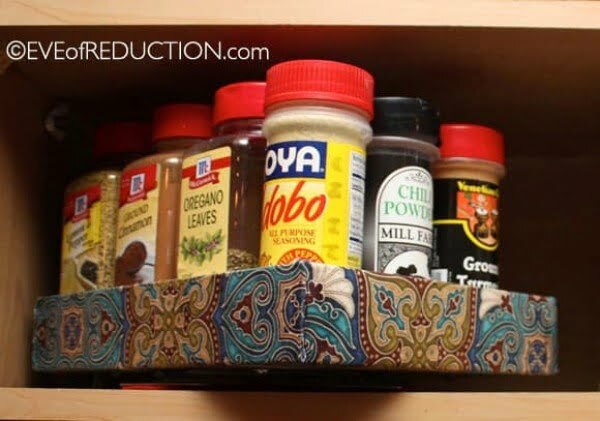 A crafty DIY project that turns an old art box into a fold-down spice rack, helping you save much-needed space most especially in small kitchens. To make it at home, follow the article. 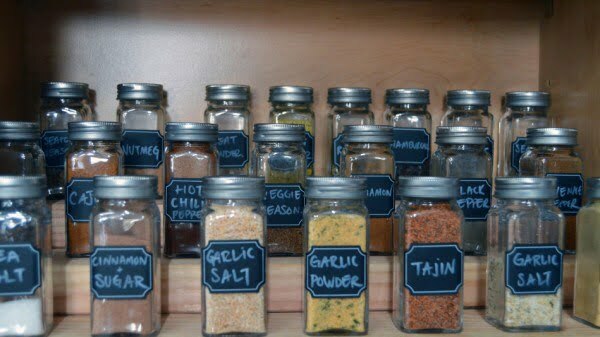 Draw up some labels and made a DIY spice rack. That way the pantry will look so much better, and you won’t get as frustrated when you cook. Read the article to see how it’s done. 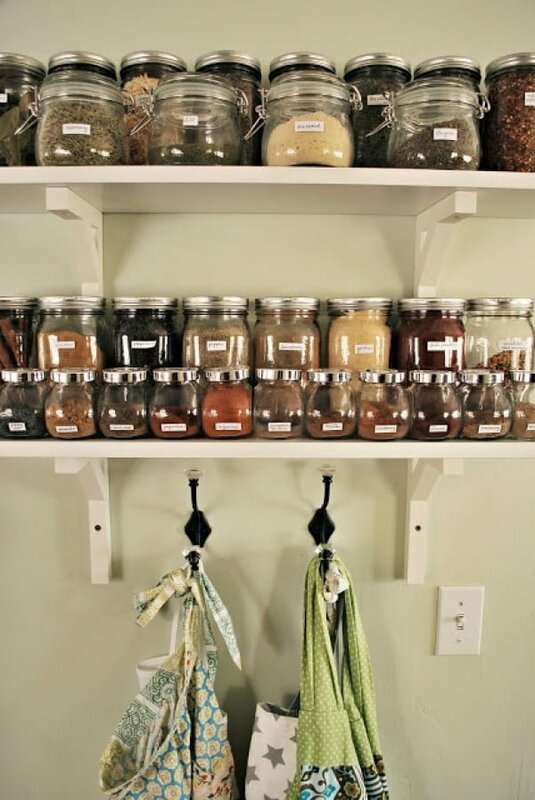 What a fantastic DIY for a wood spice rack the easy way. See the tutorial for the full guidance. 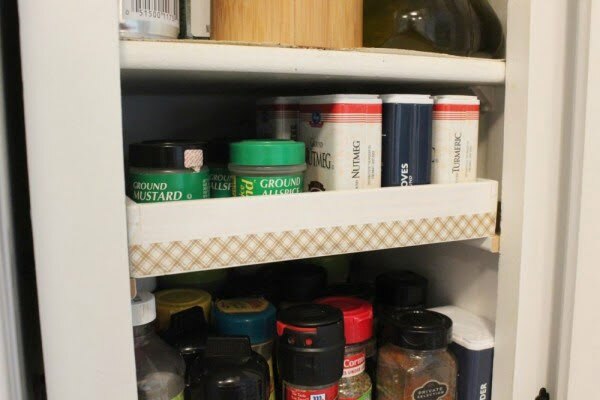 Create a place underneath your kitchen cabinets to store your spices. Follow the tutorial to learn how it’s done. Here’s an easy spice rack hack that will free up precious counter and cabinet space while adding a chic pop of color to your walls. 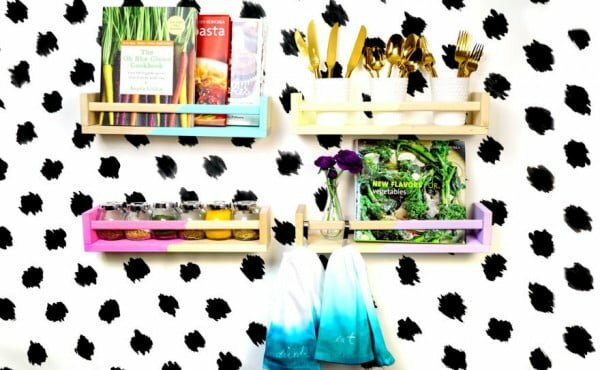 This is a beautiful DIY color block IKEA spice rack storage hack. See the article to see the entire plans. 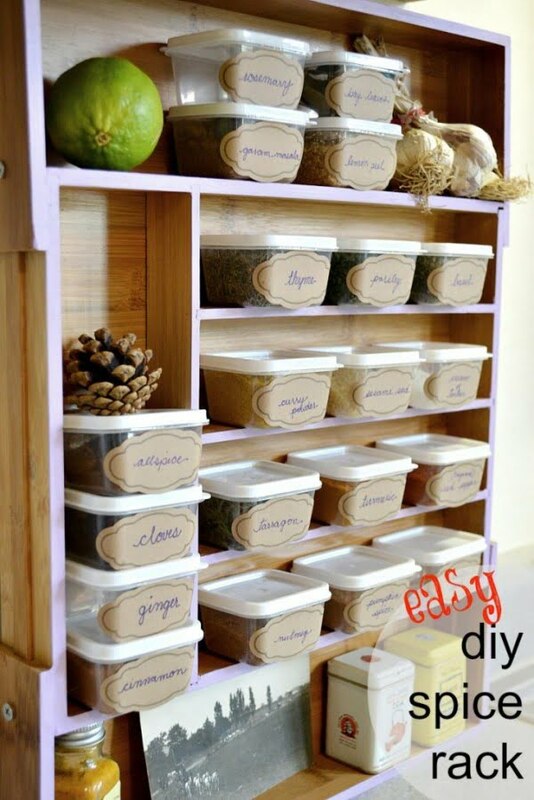 What an awesome DIY pantry spice rack you can also make the easy way. To create it see the article. 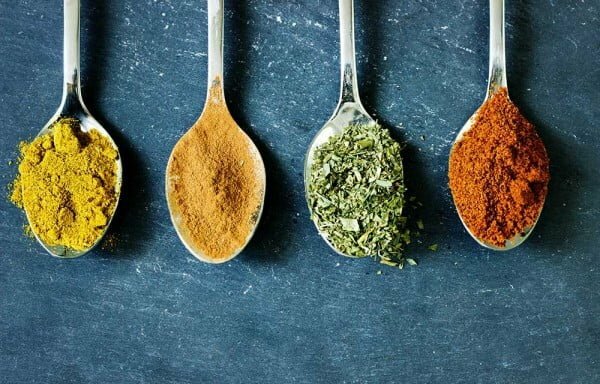 If you cook much, you know how essential spices and seasonings are. 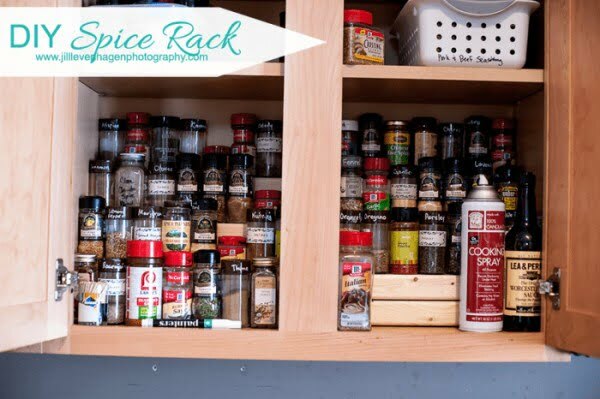 Here’s how to store more spices with our easy DIY spice rack. Read the article to learn how it’s done. Spices take up way too much space in the cabinet. Why not hang them up using this DIY Spice Rack tutorial. Follow the link to learn how to do it. Paige Hemmis is helping keep you more organized in the kitchen with this DIY. To make it yourself follow the article. 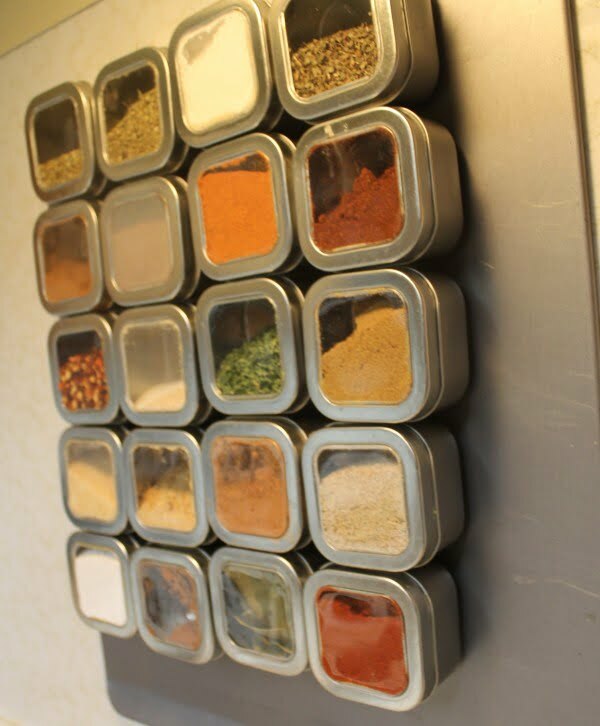 Magnetize your spices and get them on the wall to organize your kitchen and make cooking easier. To create it at home see the link. Learn how to make a DIY spice rack with this helpful guide. To create it at home check out this website. 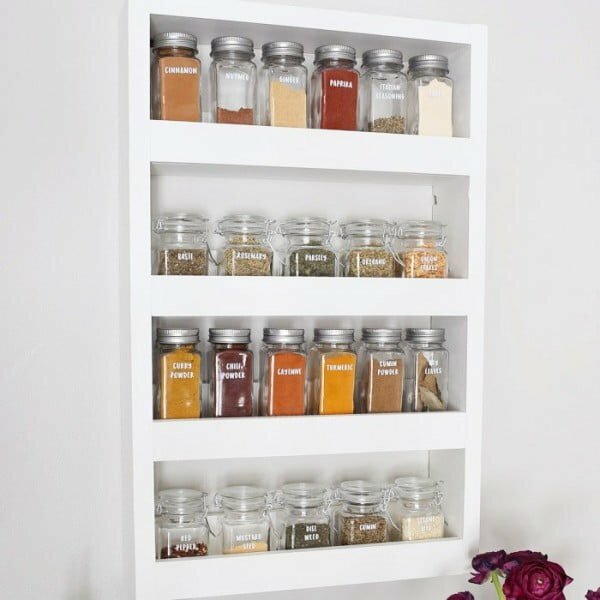 Sliding Spice Rack is an easy DIY project to organize all your dried herbs and spices in one place. Read this website to learn how it’s done. 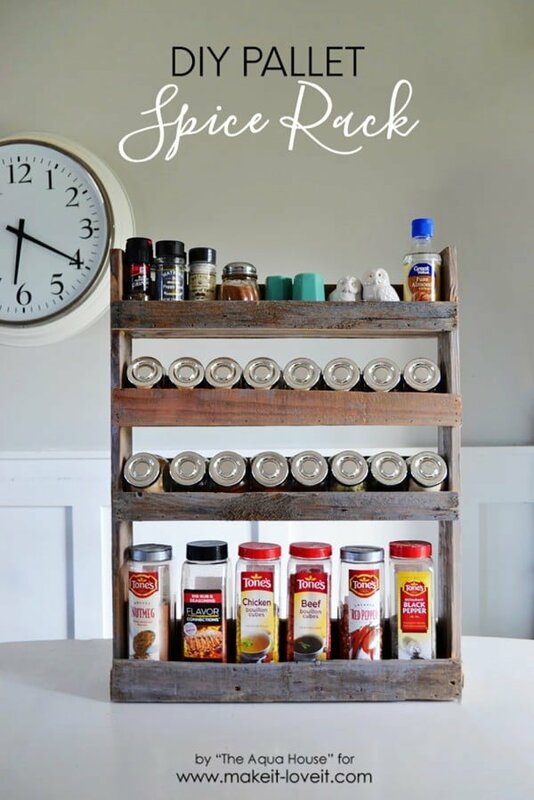 Turn an old soda crate into a beautiful vintage spice rack. To make it easier on you, there are printable files for the labels. To replicate it check out the tutorial. 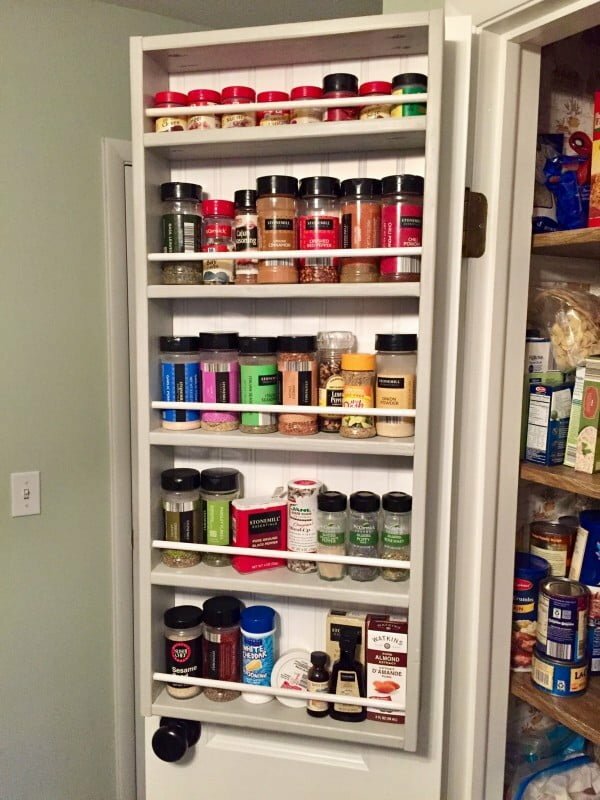 What an excellent, accessible DIY spice rack for a straightforward home project. Check out the tutorial to get the full plans. 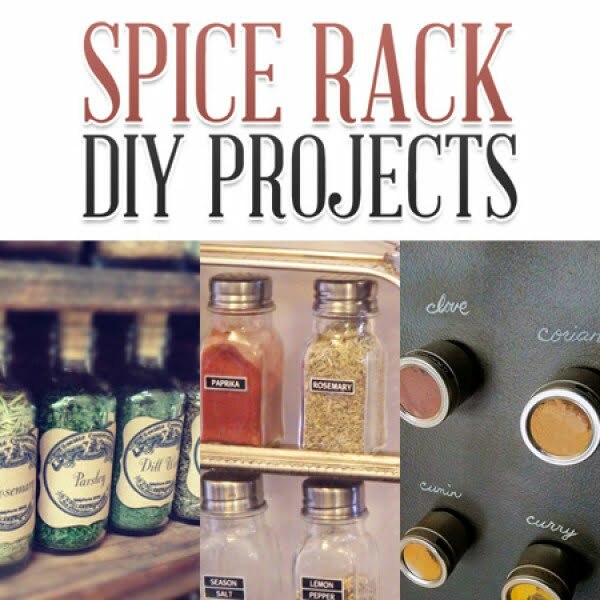 Build a simple DIY Spice Rack with very few supplies and in very little time. 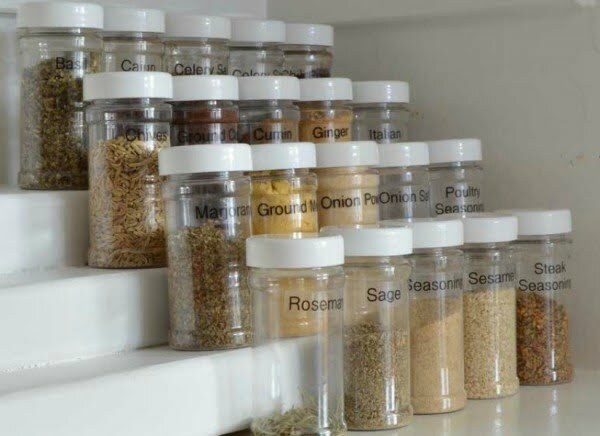 This is the perfect way to organize your spice cabinets into usable space. To build it read the tutorial. Flavor your culinary creations with ease, thanks to a handy DIY spice rack in a nearby drawer. To make it at home check out the link.